The kindness bug was all around as Metta School commemorated Kindness Week this year! 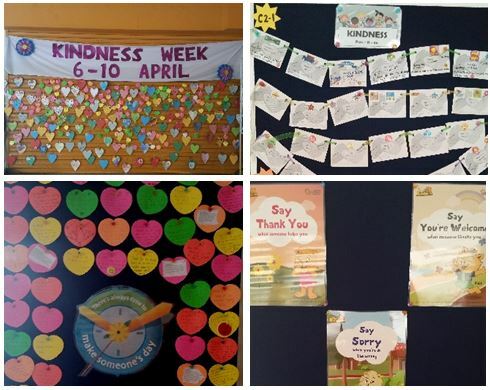 In collaboration with Singapore Kindness Movement’s (SKM) nationwide effort, Metta School planned an array of activities throughout Kindness Week from 6th April to 10th April 2015. Based on the theme of ‘A Nation of Kindness Starts With One’, the event started off with each class reflecting on what kindness meant to them. The A-Programme students did a wonderful job in promoting kindness through vibrant posters while the students in the C and V Programme did journals to recount their experiences with acts of kindness and the true meaning of the word. 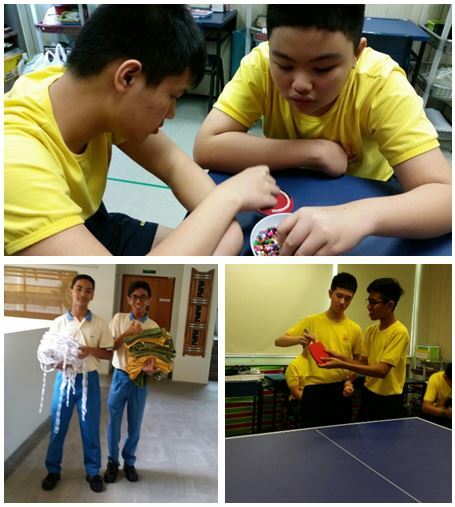 This pre-activity was a competition and the winners were Ng Tian Yu from A8-1, Lai Kay Kit from C3-2 and Nashruddin Mohd Mansor from V1-1. Throughout the week, all students and staff were encouraged to openly pen and acknowledge acts of kindness by individuals. They wrote ‘Thank You’ and appreciation messages on heart-shaped cards to those that they wanted to express their appreciation to. These notes were then displayed on the Kindness Week net hung at the school foyer. This was certainly an interesting and novelty idea. Students were given autonomy to write kind words to deserving individuals and in the process learn that appreciation towards kind acts could be shown even in simple ways. The best part is anyone in the school could read the ‘’Thank You” notes which were displayed throughout the week and feel moved while reading kind words of others in appreciation of simple kind acts. 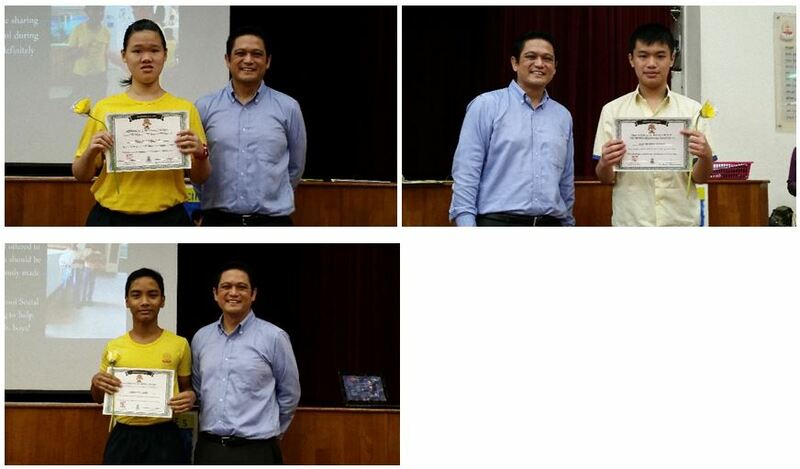 In conjunction with this, teachers were also informed to be on the look-out for random acts of kindness displayed by students in school and to video record these acts to be shown to the rest of the students. This initiative is in alignment to the school’s effort in acknowledging students’ display of values such as respect, responsibility and care. 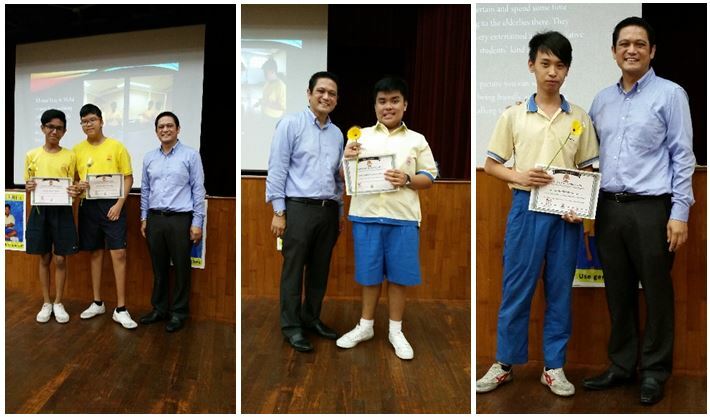 Any pupil caught in the act of doing something right received tokens of appreciation such as a certificate and a yellow gerbera daisy (a national symbol for appreciation). The message of kindness was also delivered to the students by our very own teacher Mdm Salamah who sang “From A Distance. The sing-along session held during morning assembly certainly ignited everyone’s kind-hearted spirit as we joined her in the singing! “No act of Kindness, however small, is ever wasted.” – Aesop. This was one of the quotes highlighted during the Kindness Week event in our effort to educate our students. The event was an effective platform to instil in our students the message that kindness should be a part of our lives every day and not just only during the event and that a Metta student should always be an ambassador and an advocate of kind acts. Report Done By Ika Lestari.